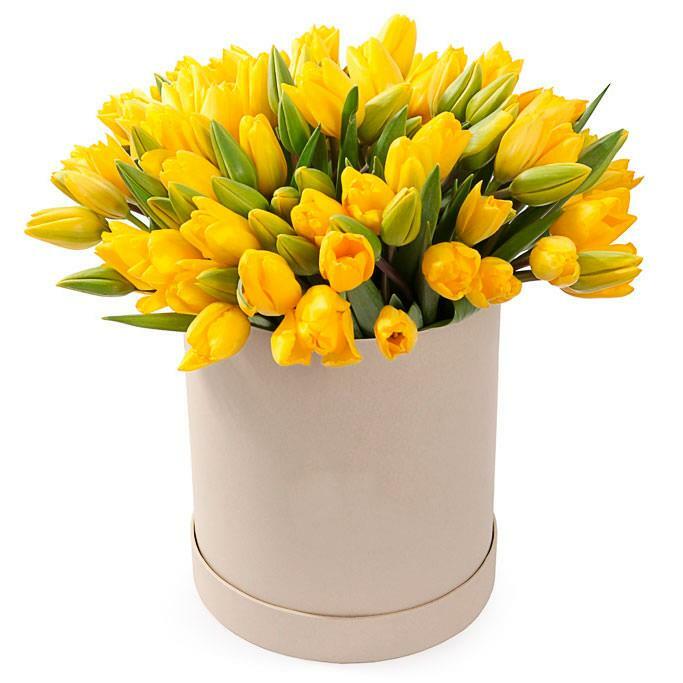 Yellow tulips in a hat box. There are 99 tulips in the box. The color of the box may differ from the picture.